There have been several reports of tourists in Bangkok being searched by police. According to those who experienced being stopped for a search by men in uniform, they feel their privacy have been violated. They feel that Thailand especially Bangkok is no longer safe for tourists and expats alike. The target of police are mostly Caucasians whom they think posses drugs. These searches happened (and probably continues to happen) along Soi Nana in Sukhumvit Road. Officers searched their belongings, their pockets, and asked them to urinate in a small container for drug testing purposes. 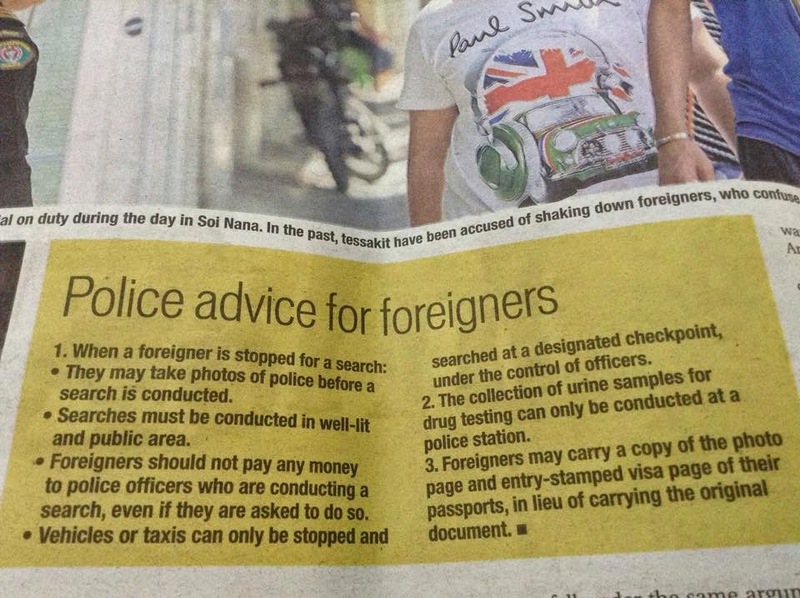 Now see this… Police gave foreigners advice on what to do if they chance upon police who are conducting searches.